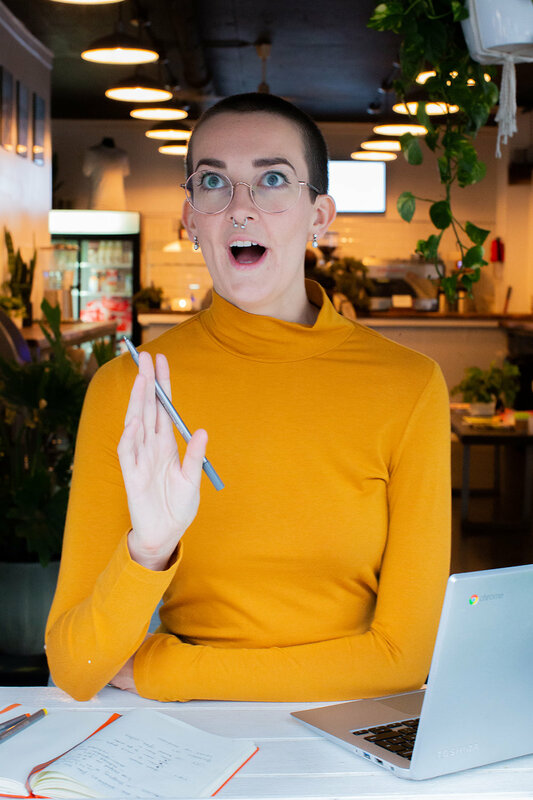 Hello, hello and WELCOME to Find Your Voice, the 1:1 Copywriting and Sales Coaching Program, with me, Katy the Copywriter. You deserve to run the business of your dreams on your own terms, and live your life to the max. I keep my business and personal hours separate, so I can enjoy all parts of my life, and put my best self, my full energy and laser focus into work during office hours. My normal working hours are Tuesday-Friday 10am-6pm and alternate Saturdays 11am-3pm, Eastern Time. During your time in the Find Your Voice 1:1 Program, we’ll mostly keep in touch via our weekly Zoom calls. These are 60-minute slots that we’ll schedule in advance. Sometimes though, life crops up, and you may need to re-jig things. If you need to re-book an appointment, please email katy@katythecopywriter.com no later than 24 hours beforehand. Cancellations within 24 hours of our scheduled time will be considered a missed appointment, and will not be valid for rescheduling. You’ll also receive email support from me directly, throughout your time in the Find Your Voice 1:1 Program. I do my best to reply to all emails from active program participants within 24 hours (within communication hours). Please be sure to keep your emails concise and specific, and to gather all your thoughts before hitting send. I typically respond to emails between 10am-12:30pm Tuesday - Friday, and alternate Saturdays 11am-12:30pm, Eastern Time. This allows me to keep my work from being interrupted and my schedule intact. I love, love, LOVE seeing what you post online, and interacting on Social Media is a great way for us to grow our working relationship. Any DM-slides with Qs or comms directly related to the Find Your Voice 1:1 Program will be redirected to email and/or our scheduled Zoom call. This allows me to support my clients consistently, and ensures none of your questions get lost or forgotten! Not connected yet? Follow me on Instagram here, and friend me on Facebook. Book your first session below to get things rolling! Fill out your Clarity Questionnaire to get clear on your goals. Commit to investing time in growing your business. Our weekly session lasts 60 minutes, where you’ll have access to all my tools and processes. You’ll be set a challenge between sessions to put what you’ve learned into action within your business. Share your Google Docs with me to get feedback fast. Our mission is to optimise your sales copy for success. If you’ve paid your investment in full, that’s great news, we are ready to roll! If you’ve opted for a 3, 6, or 12 month payment plan, the date you made your first payment will become your monthly billing date, where your card on file will be automatically charged through Stripe payment platform in $ USD. You are responsible for all remaining payments. This is a payment plan, not a monthly fee. You will be liable for all of the payments regardless of whether you continue to use the Program during the payment period. In the event of late or non-payment, a 10% finance charge will be payable after 30 days. 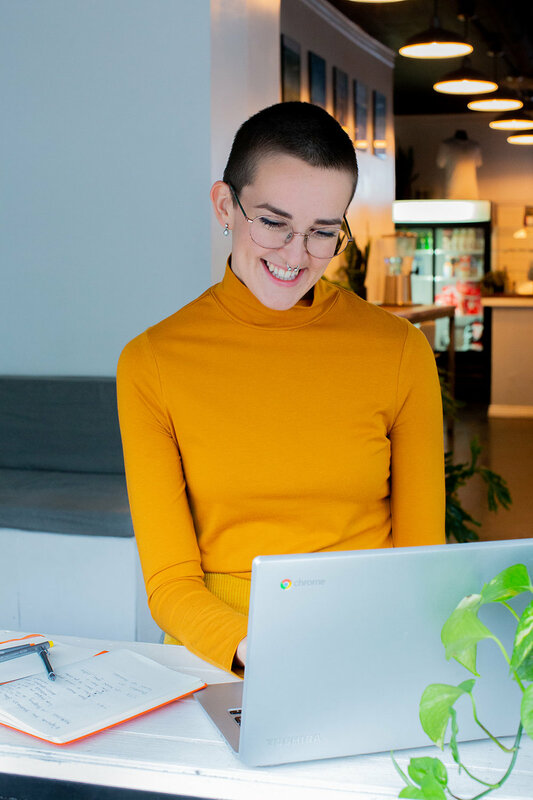 If you need to update your payment card, get additional copies of your receipts, or specific support related to billing, please contact support@katythecopywriter.com with your query. Let’s book your first session! Doing this is simple. Hit the button to access my calendar and book your first session within the next 10 days. You’ll need your unique code from your confirmation email to redeem your first sesh. Click to book your first session. Can’t find a time that suits you? Don’t panic! Email me: katy@katythecopywriter.com with three times and dates that work for you, and we’ll work something out. Bring your updated schedule when we first meet, as we’ll be booking your remaining sessions together. 2. Complete your Clarity Questionnaire. Tell me all the juicy deets of what you’re looking to achieve over the next 90 days. I’ll pull this together into a tailored plan so your Find Your Voice 1:1 Program experience is totally customised to you. Hit submit before you show up for our first session. 3. Join the Squirm-Free Sales Club Facebook Community. Join the online community to access a LIVE weekly masterclass, along with the full back-catalog of Masterclass content to dive right into. Connect with other business owners, and share your wins and questions with a fun and kind community. Join the Squirm Free Sales community. Don’t suffer in silence! 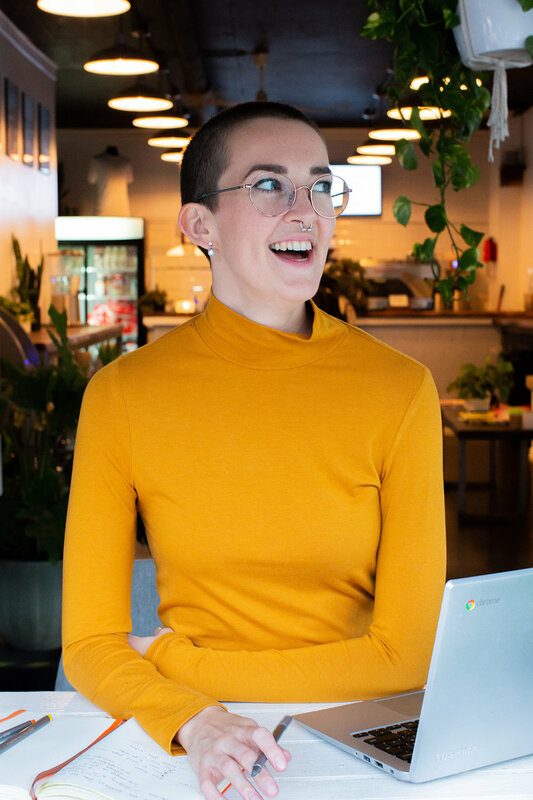 Email me katy@katythecopywriter.com and we’ll get things moving! I’m so excited to get started with you!